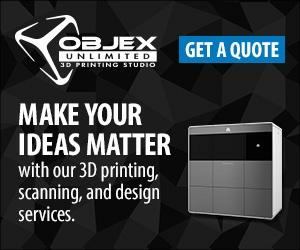 3D Printing and You. Print what you use. Print what you wear. Print for your home. Print for those you love. Print for your life. Love what you make. More color, limitless choice. Liven things up with more than 20 colors and dual-color jetted mashables. Mix and match dual-color and dual-materials. Cube printing with recyclable ABS and compostable PLA plastics has never been so limitless. Convenience in the palm of your hand. Enjoy the freedom of mobile printing direct from the Cubify app for iOS, Android and Windows. Find new things to print in the curated brand collections or browse the Design Feed for inspiration to add to your shelf. Prep and print from your smartphone direct to Cube. Print fast, print more. Make time by saving time with quick set up, an intuitive, color touchscreen UI for wireless and on the go printing that is 2X faster than other printers. Print easier, print smarter. Getting there is easy with insta-load cartridges, preloaded filament jets and auto-leveling print pad for beautiful, effortless prints every time. Kid-Safe for every home. Fun for everyone, certified-safe home printing invites children to explore their creativity at home, the library or the classroom. Cube is recommended for children 8+ and meets IEC Home Printer Certification 60950 (TUV).